What happens when people land on unfamiliar moral and cultural turf? 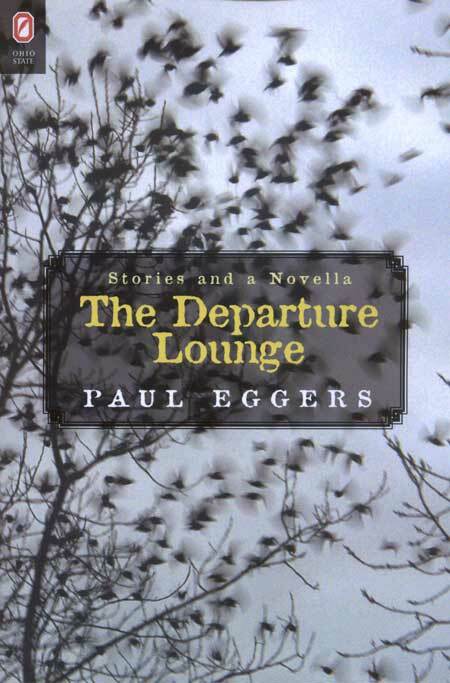 The five stories in Paul Eggers’ The Departure Lounge examine that question, focusing on characters in either voluntary or involuntary exile—men and women forced to confront their deepest emotions and beliefs, removed from familiar, comforting surroundings. In one story an academic flees his family, arriving in Africa only to find that his African host is dealing with a similar crisis. In another, an American chess hustler in Africa is forced to come to terms with his own sense of right and wrong. In yet another, an old Vietnamese man now living in California finds that his relationship with his now-dead daughter was not what he had assumed. In the story “Hey,” a young chess star confronts the death of his brother in the Vietnam War. And in the final story, an aging American couple—former UN relief workers—return to their refugee-camp worksite in Malaysia, discovering what they had forgotten about themselves. In lyrical, tough-minded prose, Eggers’ stories illuminate in unexpected ways the profundity of cross-cultural experiences, as well as deliver fresh insights into the complexity of identity. Paul Eggers is associate professor of English at California State University, Chico.